Welcome to our cosy and eclectic ‘plant-based haven’ for both vegans and non-vegans. Koocha’s essence is inclusion, to bring you mouth-watering vegan mezze, to leave you in bliss vegan or not! A new cocktail and mezze bar on Zetland Road, Bristol with a large outdoor terrace. All our food is plant based & we’re open every day, lunch until late. Noda is determined that vegan food be delicious, diverse and readily available. Drawing from Persian roots her mezze concept is designed to give everyone a chance to experience the delights of plant based recipes. 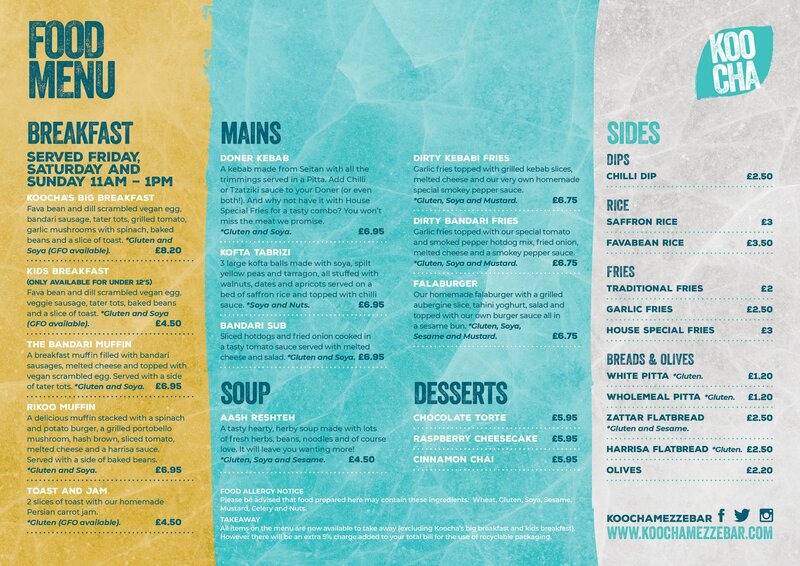 Koocha means street or corner in Persian; come visit our little corner of Bristol!